Haunted by his turbulent past, Mad Max believes the best way to survive is to wander alone. Nevertheless, he becomes swept up with a group fleeing across the Wasteland in a War Rig driven by an elite Imperator, Furiosa. They are escaping a Citadel tyrannized by the Immortan Joe, from whom something irreplaceable has been taken. Enraged, the Warlord marshals all his gangs and pursues the rebels ruthlessly in the high-octane Road War that follows. Directed by Oscar-winning filmmaker George Miller (“Happy Feet”) and starring Tom Hardy (“The Dark Knight Rises”) in the title role and Oscar winner Charlize Theron (“Monster,” “Prometheus”) as Imperator Furiosa, “Mad Max: Fury Road” is the fourth film in the franchise’s epic history. Over 90 minutes of high-octane special features! Burbank, CA, July 21, 2015 – In the end, only the mad will survive when “Mad Max: Fury Road” arrives onto Blu-ray 3D Combo Pack, Blu-ray Combo Pack and DVD on September 1 from Warner Bros. Home Entertainment. 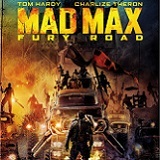 Directed by Oscar®-winning filmmaker George Miller (“Happy Feet”) and starring Tom Hardy (“The Dark Knight Rises”) in the title role and Oscar® winner Charlize Theron (“Monster,” “Prometheus”) as Imperator Furiosa, “Mad Max: Fury Road” is the fourth film in the franchise’s epic history. The film will available early on Digital HD starting on August 11. Warner Bros. Pictures’ and Village Roadshow Pictures’ “Mad Max: Fury Road” also stars Nicholas Hoult (“X-Men: Days of Future Past”) as Nux; Hugh Keays-Byrne (“Mad Max,” “Sleeping Beauty”) as Immortan Joe; and Nathan Jones (“Conan the Barbarian”) as Rictus Erectus.Collectively known as The Wives, Zoë Kravitz (“Divergent”) plays Toast; Riley Keough (“Magic Mike”) is Capable; Rosie Huntington-Whiteley (“Transformers: Dark of the Moon”) is Splendid; supermodel Abbey Lee is The Dag; and Courtney Eaton is Fragile. Also featured in the movie are Josh Helman as Slit, Jennifer Hagan as Miss Giddy, and singer/songwriter/performer iOTA as Coma-Doof Warrior. 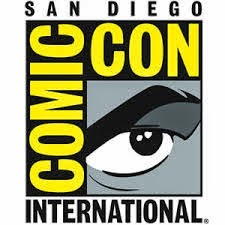 The cast is rounded out by well-known Australian actors John Howard and Richard Carter, supermodel Megan Gale, Angus Sampson, Joy Smithers, Gillian Jones, Melissa Jaffer and Melita Jurisic. “Mad Max: Fury Road” will be available on Blu-ray 3D Combo Pack for $44.95, Blu-ray Combo Pack for $35.99 and 2-disc DVD for $28.98. The Blu-ray 3D Combo Pack features the theatrical version of the film in 3D hi-definition, hi-definition and standard definition; the Blu-ray Combo Pack features the theatrical version of the film in hi-definition on Blu-ray; and the DVD features the theatrical version in standard definition. Blu-ray 3D Combo and Blu-ray Combo Pack include Digital HD with UltraViolet. Fans can also own “Mad Max: Fury Road” on Digital HD via purchase from digital retailers. Also available on September 1 will be the “Mad Max 4-Film Blu-ray Anthology.” The anthology includes “Mad Max” (1979), “The Road Warrior” (1981), “Mad Max Beyond Thunderdome” (1985) and “Mad Max: Fury Road” on Blu-ray disc. The anthology also includes the documentary “Madness of Max” on DVD along with “Mad Max Anthology” trading cards and will be available for $89.98.